Can Forgiveness End a War? Rebuild South Sudan asks this question together with the South Sudan Council of Churches and South Sudan Women United. Rebuild South Sudan is partnering with South Sudan Women United to share Desmond and Mpho Tutu’s new book, The Book of Forgiving, with South Sudan. South Sudanese Women in Diaspora, from a number of tribes, have come together to talk about what it means to forgive across tribal lines. They all bravely asked themselves, and each other, “What have I done to contribute to tribal conflict, even if I didn’t know I was?” These women want to see this kind of discussion happen all throughout South Sudan and sent over 2500 copies of the book to South Sudan in hopes that people across the nation will read it and talk about forgiveness in South Sudan. 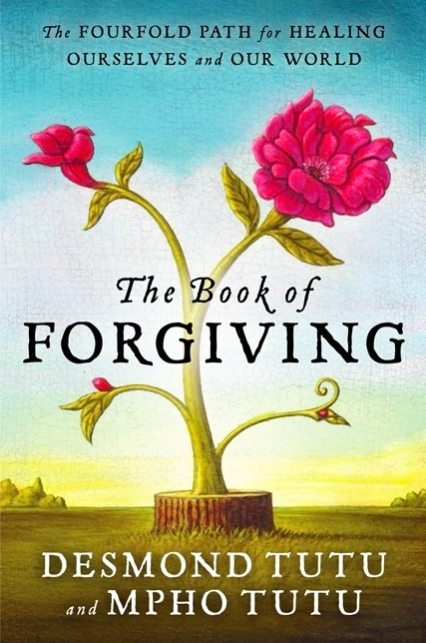 Following their lead, we will be incorporating The Book of Forgiving in our Teacher Training Program by providing 55 books (one for each teacher plus some extra’s) and having daily reflection/discussions times based on the book. If you would like to support us in this endeavor $13 will get a copy of the book into the hands of a teacher in South Sudan who is working toward the stability of the next generation. We are very excited to partner with the South Sudanese people in this movement of forgiving, and it is our desire to encourage, empower, and support them in this process. One aspect of partnering means looking at our own places where we need to forgive and reconcile our own stories. If you would like to partner with South Sudan and the South Sudanese people in this effort of forgiveness you can donate towards providing The Book of Forgiving here.